I figure it is more of cutting service first and adding service later.Maybe 722 is part of the $2.5 million in additions for next year. Also, by turning large swaths of Aurora over to C&R, I doubt that there is a shortage of buses. In any event, they could do like 465 and transfer a 2700 from NW. But as far as relying on FV, the only alternative out in that neck of the woods is contracting it out, but the contractor would still need a bus. Just curious, where did you see the $2.5 million statistic? Moving Forward, Pace's current homepage, and a few other places all say $1 million of new service. 2742-3 were always H buses, although there have been some loans from H to FV (most notably 2766 floats). The other was a misreading on my part of the "The proposed budget is balanced and includes $7.6 million of new service, including $6.6 million for a full year of service implemented in late 2015 and an additional $1 million of new service to begin in late 2016." Only question is if this was counted in the late 2015, the 2016, or not at all. 2742-43 may have been Heritage buses originally but they must have been at FV at some point, as I remember riding them in Joliet with FV schedules still inside. This was in summer 2014. That doesn't mean much, as I have seen inappropriate schedules in various places, including expired schedules at Pace HQ.I did allow for the possibility of loaners. On your other counting, FV appears to have 28 buses (2605-2612, 2614-2629, 2826-2829) and I know that you didn't count 530 and 714. (Webwatch now shows 4 on 530 and 4 on 714). Thus the question essentially comes down to whether the 2 buses you say are needed excessively cut into the spare ratio, but unless the two of us missed something, we only accounted for 19 of the 28 buses. Another thing to consider is that the 521 schedule has 3 morning and 2 afternoon school runs, for which you have not accounted. Since 521 is to be killed, it is not clear if that includes the school runs. Also, presumably add a bus for 534, so, still, theoretically 8 spares. I did make some assumptions that may turn out not to be true. The first is that FV would keep its current number of spares, but it does seem that they could put 2 more buses on the road and still have enough spares. That brings up the question: How many spares does are considered "enough"? The second assumption was that all the current school runs would be accounted for on the new system, so no change in the number of buses for school runs. 533 and 530 could cover 521's school runs. But we won't know until the schedules are released. Why would another bus be needed for 534, unless you are referring to the proposed Station Blvd expansion discussed earlier in this thread? Just meant that you didn't count 534, and until that moment I hadn't either. But my point was that, excluding the school runs, only 20 of 28 buses had been accounted for. Normal spare ratio is about 15%, but for Pace it is hard to tell, given a lot of small operations (such as the MV Wheaton contract needing 7 buses and 2 spares). 28 buses would indicate 4 spares by the 15% math. 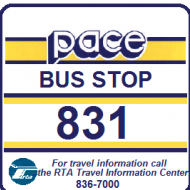 Finally, one has to figure that Pace is willing to throw a paratransit on a light route, as it did for the original Route 59 bus route, and as it replaced the buses (2699-2701) originally assigned to Hinsdale that were moved to Downers Grove (as well as the original 895). 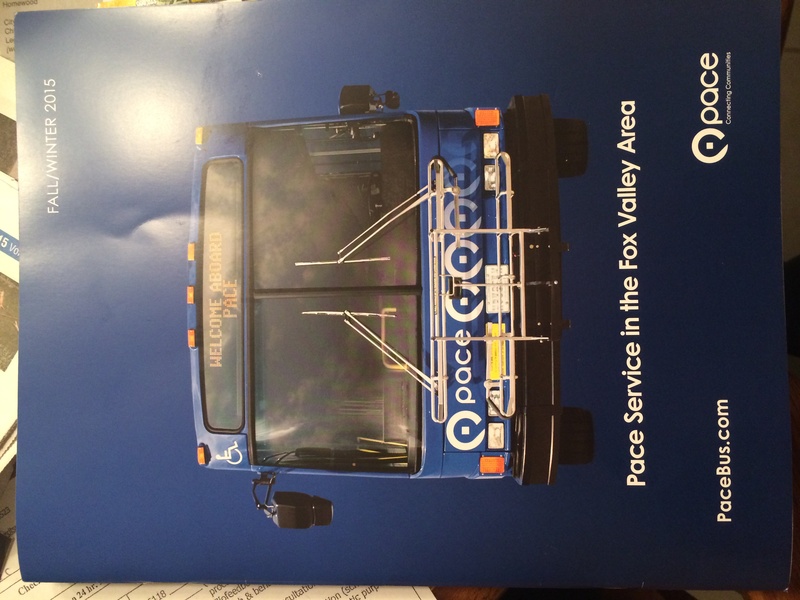 At least now Pace puts signs on those buses,compared to the Route 59 ones, that you couldn't tell were fixed route buses, except that some paratransit vehicle showed up at :45 at Fox Valley Mall. Update: Looks like 5 to meet the 530 schedule, so we are up to 21. 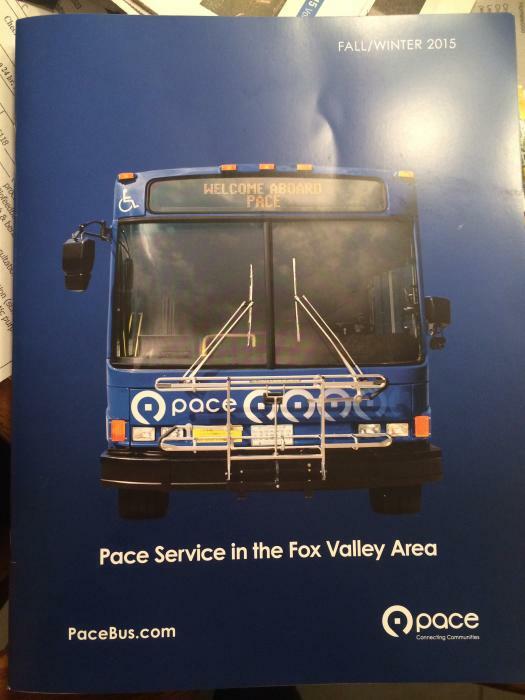 The Fox Valley Initiative page ( http://pacebus.com/sub/initiatives/fox_valley/fv_default.asp ) notes "School trips have not changed, but may have different route numbers". So the 521 school trips bring the total to 24 of 28 buses on the road during AM peak. Now, the school trip on 533 currently is operated in between regular trips so that one vehicle can cover the route all day. My gut tells me the new schedule will continue to have the school trip integrated with regular runs, as there would then be the maximum number of buses on the road without bringing in at least one bus from somewhere else. This of course assumes the 15% spare ratio. The Passenger Notice for 521 has the schedule, with most becoming 533 or 540. Other passenger notices and advance schedules are now posted. Looks like I was wrong on my prediction that the school trip currently on 533 will be "integrated with regular runs". That one is now an individual trip, and there is also a new school trip on 540. These add two buses to the count. However, 524 and 540 are every 60 minutes, not 30 as I assumed before. So, the final count is still 24 of 28 buses in use during AM peak. Maybe indicating that FV needed more, 2766 is on 530. Looking at the schedule for 530 again, it looks like they actually need six buses for that route, so add one to the earlier count. That might explain the appearance of 2766 since one more bus would be required to keep the spare ratio. Where was 2766 previously? Northwest or River? BusHunter's roster shows it already at FV, but I don't think that was the case. It sorta floated, but my guess is mostly H. I seem to remember it at FV (which is why I said maybe), but mostly it was used as a backdrop for various photo sessions at HQ (like for the Million Mile Club). Also, don't know why it was the only 30 foot bus that had a vented rear (as opposed to a solid top panel). It sorta floated, but my guess is mostly H. I seem to remember it at FV (which is why I said maybe), but mostly it was used as a backdrop for various photo sessions at HQ (like for the Million Mile Club). 2766 was definitely at H originally, but I haven't seen it there for at least three years. I have 2765 and 2766 new to H in 10/09 moving to FV in 12/09 (2765 spent some time at MV Batavia in 2014 but is back at FV now). I had to go to Rush-Copley Hospital today so I got a chance to check out 540. I was the only one on the bus southbound and one guy got on at the hospital northbound. Since it's a new route the low ridership isn't a surprise. The biggest pro about this route for me is that you can now get to the hospital on Saturday, despite having to transfer to/from 530 to get to the train station. I wasn't sure what the best place to transfer along New York St was, but there was enough time to find and walk to where I needed to be. Besides, someone who insists on a single seat trip from the hospital to the ATC can use the Call-n -Ride. (In fact, all of the former 528 now has Saturday service on either 540 or CnR.) Speaking of which, the vehicle assigned to the CnR is #14412. It doesn't have Call-n-Ride decals yet like the others have, they are using paper signs in the windows for now. I noticed the three ElDorado buses I rode on today had brand new seat inserts. I wonder if that is coincidence or if they replaced them all to make the buses look nicer for the debut of the new system. They had books on board with the maps and schedules for all FV routes, a picture of which is below.
. I noticed the three ElDorado buses I rode on today had brand new seat inserts. I wonder if that is coincidence or if they replaced them all to make the buses look nicer for the debut of the new system. They had books on board with the maps and schedules for all FV routes, a picture of which is below. They might be going thru the mid-life refurbishing, unless any of them was a #2800. If I'm not mistaken, the early 2600s are approaching 7 years old. Yeah you're probably right. I was on 2606, 2608, 2614. All 2701 and under were scheduled to have received the swapped engines and transmissions. Strangely, they seem to have only one tail pipe instead of 2. Since 722 has been moved to the DuPage Restructuring, is there any update on the Naperville-Aurora Call n Ride and Route 559? Passenger notice that they begin October 24. Also, 676 and 685 will be operated by FV. Strange thing on that one is that the north side runs once every half hour while the south side is at best once an hour. While there is a lost and found notice for 685, this got submerged in the Service Change at Cantera notice for 676. Again, these changes are strange. Also, looking at the list of Passenger Notices, it looks like most of the Naperville route names have changed, not that it makes any difference since they aren't showed on the bus signs. I'm beginning to wonder if something is going on at First Student Naperville. Some of their former buses are moving to FV, at least one bus heads all the way to route 803, now some of their routes are being operated by FV. Is there some sort of contract dispute between Pace and First Student Naperville? Or could that contract not get renewed? The buses moving to FV were explained that routes using 5 buses were canceled in the DuPage Restructuring to cover 722. .Also, FV changed yards from about Route 59 and 97th St. to 31w330 Schoger Dr · Naperville (per the telephone number). I don't know if that is of any significance. If I were doing guessing, it would be more like they can't get help than they are going out of business (more Downers Grove than Academy). Update: See also the 2017 Budget topic, indicating that the eventual intent is to put "small buses" on those types of routes. So today, I decided to make a switch and take a different route to Naperville. Normally, I take route 463 to Metra DG, then take that train to Naperville, but that option is pricey due to the raised Metra prices. Today, I took 463 to Metra DG, but then got on the 834 from there to Ogden/Main in DG, then eventually got on 722 to Naperville Metra (bus was about 5 minutes late). I was one of 2 people on this bus and I was all alone after Warrenville/Yackley in Lisle. I must be truthful, this is a route that I don't think last thru the end of the summer. I've seen empty buses on this route a lot during the day, both peak and off-peak. The routing on Warrenville Road is redundant with 829 and 888, both are rush hour buses. Why would anyone need to go into that area after 9am? When I take the train and get to the Lisle stop just before 8am, at least 10-15 people get on route 829, going the same direction as the 722. So that tells me that people that live in the city and work in Lisle/Naperville would rather take Metra, not go to Yorktown and then get on 722. In the past, I didn't see a lot of people get on the 714 when it used to run down Ogden, not even COD students, could be one of the reason why the route changed. In the afternoons when I get to Naperville Metra, I almost always see 714 and 722 waiting. 714, usually 3-5 people are on that bus. 722: maybe 1 person? Today, when I got off at my stop near the Naperville Metra, I asked the driver if this route gets busy often, she said "nope, I rarely see more than 3 people on this run and I've never seen you on here before." Says a lot. Pace has got to know this route isn't a money maker for them and I just can't see it lasting.